The Blue Jays took the lead in the bottom of the 5th with a 2 run HR by Gio Urshela that also scored Dwight Smith Jr.
Sam Gaviglio did a nice job in his spot start, in what would normally be Marcus Stroman's spot in the rotation. Gaviglio pitched 5.1 shutout innings, scattering 6 hits and a walk. Unfortunately, the bullpen blew the game in the 8th inning, giving up a grand slam and a run scoring single. Lately, the Blue Jays bullpen has been less effective, as they have been used too much the first 6 weeks. All the offence today was scored in 2 big innings. The Blue jays got their 4 runs in the 5th inning off a hit batter, 2 run HR, double and sac fly. 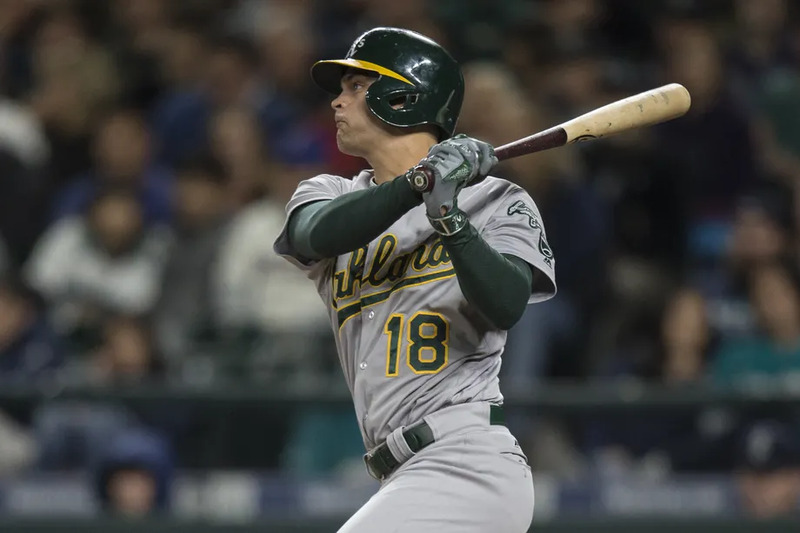 The A's scored five in the 8th off a run-scoring single and three batters later, a grand slam. The Blue Jays did a much better job in working the count. The knocked starter Sean Manaea out of the game after 97 pitches and 5 innings. Unfortunately, they couldn't capitalize on an overworked bullpen who had pitched 16.2 innings heading into this game. They also only struck out 5 times today, a vast improvement on the 15K's Friday night. Up next, the Blue Jays look to avoid the series sweep as Joe Biagini takes the mound for the Blue Jays against A's righty Daniel Mengden.